Today's we are looking at the Best Miele Vacuum, for most households, vacuuming is a natural part of life. It’s not something that we necessarily look forward to doing, but it’s a necessary aspect of maintaining a clean house. As such, since we have to vacuum regularly regardless of whether or not want to, we should at least make the process as smooth and effortless as possible. So, with that in mind, we are going to take a look at some high-end vacuum cleaners from the company Miele. This is a brand that is synonymous with high-performance vacuums that are a bit pricey but still do an incredible job. So, if you’re looking to upgrade your cleaning experience, then you will want to pay attention to what Miele has to offer. What Are the Different types of miele vacuum? One other important distinction that vacuums have is how to dispose of all of the dust and dirt that you collect. Most older Miele Vacuum use bags, while newer ones tend to be bagless. But, which is better? Bagged vacuums are ideal if you suffer from allergies and want to limit the amount of dust and allergens in the air. While many vacuums come with an air filter regardless, having bags means that they stay sealed, even when you dispose of them. The only issue with bags is that they can fill up much faster (affecting suction) and you have to keep extras on hand for when they do get full. Bagless units are usually preferred because they can be emptied and cleaned repeatedly without any issues. The only problem comes from the fact that when you dump the canister out, usually dirt and dust will get into the air. Also, they do require washing and cleaning every so often to ensure that they work properly. Overall, you want bags if you suffer from allergies, but bagless if you prefer convenience and don’t want to pay extra for replacements. We start the Miele review with a classic the C1 cat & dog and as the title suggests it's designed with the pet owner in mind. So let's look at what this compact canister vacuum has to offer. The six power-speed settings allow you to control on a rotary dial therefore increase or decrease the suction power for the surface being cleaned this given you total control. The electro plus floorhead can be adjusted between five different levels making it ideal on any floor surface needing cleaning: hardwood, tile, laminate, the main one carpeting. The power cord is auto winder and is 18ft long. The floorhead has a 180° parquet twister which allows the head to be extremely agile for getting into and around all areas of the floor space. On to the filtration system on this Miele Classic C1 incorporating AirClean technology the filter uses charcoal in the filter which neutralizes odors and bad smells in the home and makes this perfect for pet owners. There is a mini handheld turbo brush attachment with the vacuum which is excellent for furniture, upholstery or pet beds. It has nice vario clip to hold the accessories kit which comes with the vacuum, which includes crevice tool and also dusting brush for hard to reach areas. Super vacuum this one not the cheapest model by any stretch but if money isn't a problem in the buying choice than Miele C1 worth a look. Just as the Olympus was the first generation of the C-Series, this model from Miele is part of the third generation. There a few different variations of the C3 Vacuum, and each of them is designed to deliver high-performance results. With a 1200-watt motor and a variable speed adjustment, you can clean your house from top to bottom without any issues or delays. Like almost all Miele Vacuums, the secret to its performance is the fact that you can adjust the suction level to match the floor. So, whether you’re cleaning an area rug or you’re vacuuming your kitchen tile, this machine can handle it all with ease. What sets the C3 series apart from the C1 is that it does this automatically, meaning that you can go back and forth without having to use the foot pedals. However, if you do notice that it’s not getting as much suction as it should, the pedals are there to help you get the best results. The other thing that we like about the Alize is that it comes with an AirTeQ combination head that works best on rugs and low pile carpeting. As such, we don’t recommend it for thicker carpets, but it will still perform admirably on medium pile options as well. WE also like that it comes with thick wheels that glide over surfaces with ease. To make it even smoother, the wheels have suspensions as well. Overall, this is a high-end Miele Vacuum that provides an exceptional clean. If you’re looking for the ultimate vacuum to ensure that your house is spotless, then this Miele Vacuum C3 model will be your best friend. As the name suggests, it’s designed for pets such as cats and dogs, meaning that it will pick up hair and dander much better than anything else. 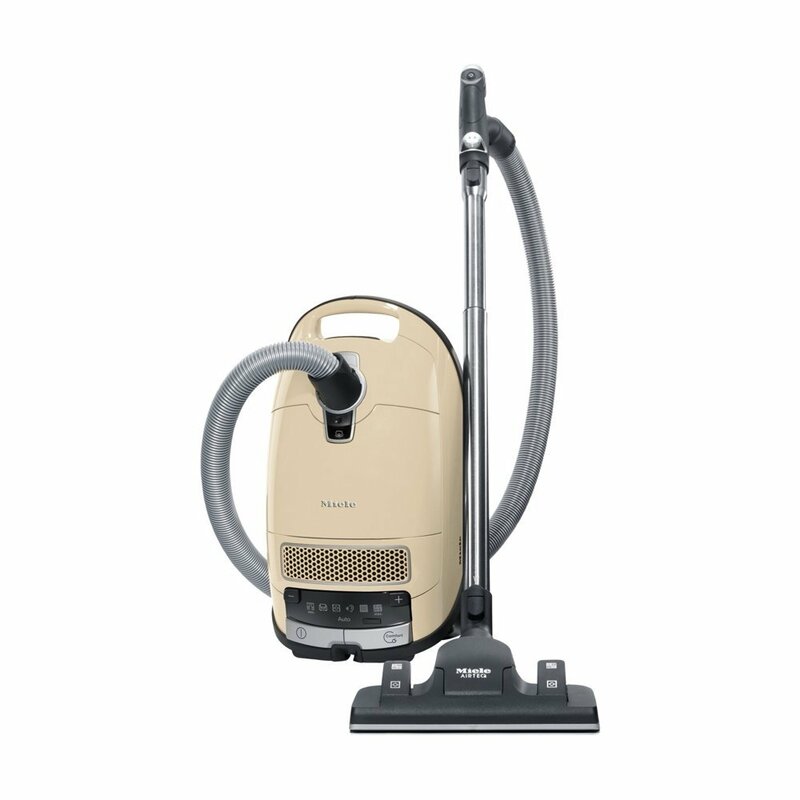 With a 1200-watt motor and six-stage speed controls, you can make cleaning a much easier experience overall. What we love about this vacuum is that it not only comes with all of the best Miele Vacuum features (foot pedals, built in air filter), but it also has two different vacuum heads. The standard electro brush can work on all carpets including Shag carpet, and the parquet twister is perfect for hardwood floors and tiles. This means that no matter what kind of flooring you have, this vacuum will clean it all. Plus, it has a wider cleaning radius than the others, so you can cover more ground in less time. So far, we’ve only seen canister-style Miele Vacuum, but that doesn’t mean that you can’t get an upright. Fortunately, this model is just as powerful and reliable as anything else we’ve seen, so don’t think that you’re trading down with this vacuum. In fact, it has some pretty incredible features that may make it a better choice than most of the canister units above. Firstly the motor is dual-stage, meaning that it provides just the right amount of power for the floor type on which you’re cleaning. Secondly, it has a swivel neck, making it much more manoeuvrable and agile, especially when cleaning around furniture. And third, it has an air-sealed system to trap dust and allergens inside. The bags are also sealed to ensure that you don’t get anything in the air when you dispose of them. In addition to those great features, this vacuum also automatically adjusts the suction and height level for your floors. This means that you don’t have to mess with any controls when moving from hardwood to carpet and vice versa. Overall, this is the ultimate upright vacuum. After looking through each of these vacuums, we have to say that our top pick has to be the Miele Vacuum C3 Cat and Dog model. The reason that we like this unit is that it is much more capable of deep cleaning your whole house with minimal issues. We also like that it’s designed for pet hair and dander, which means that it’s held to a higher standard overall. If you prefer an upright vacuum, though, then the Miele Vacuum U1 Maverick is another top-quality option as it can work for any flooring type with ease. Overall, if you want the best performance, these two vacuums will deliver. The Miele range of vacuum cleaners has grown over the past few years initially know for it's upright and canister models of vacuum cleaners. They now have a stick and robot vacuum in their model range. Let take a closer look at all the types of Miele vacuums currently available. As you will see, Miele specializes mostly in canister-style vacuums. However, most of us are familiar with miele upright models, so it may take a little getting used to. There are some key distinctions that these models have, which can make the cleaning process easier or more difficult, depending on your home. Miele upright vacuum cleaner are ideal for multi-story houses that require you to lug the machine up and down the stairs. They are usually a bit lighter and much easier to carry. The other benefit of upright vacuums is that they are super easy to use and can work for almost anyone. 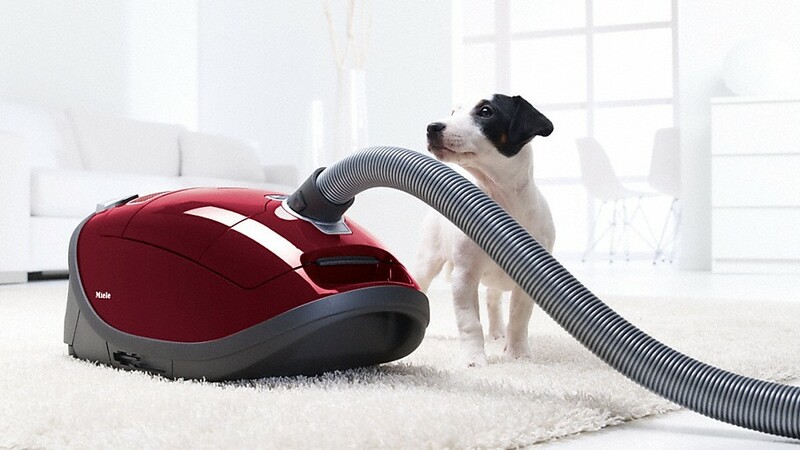 Miele canister Vacuum are built for versatility more than anything. They are generally a bit heavier than uprights and can be a pain to carry up and down flights of stairs since you have to hold both the miele canister and the vacuum head. However, because the head is lighter, you can clean more surfaces than just your floor, including stairs and furniture, drapers and can be useful in the kitchen area. 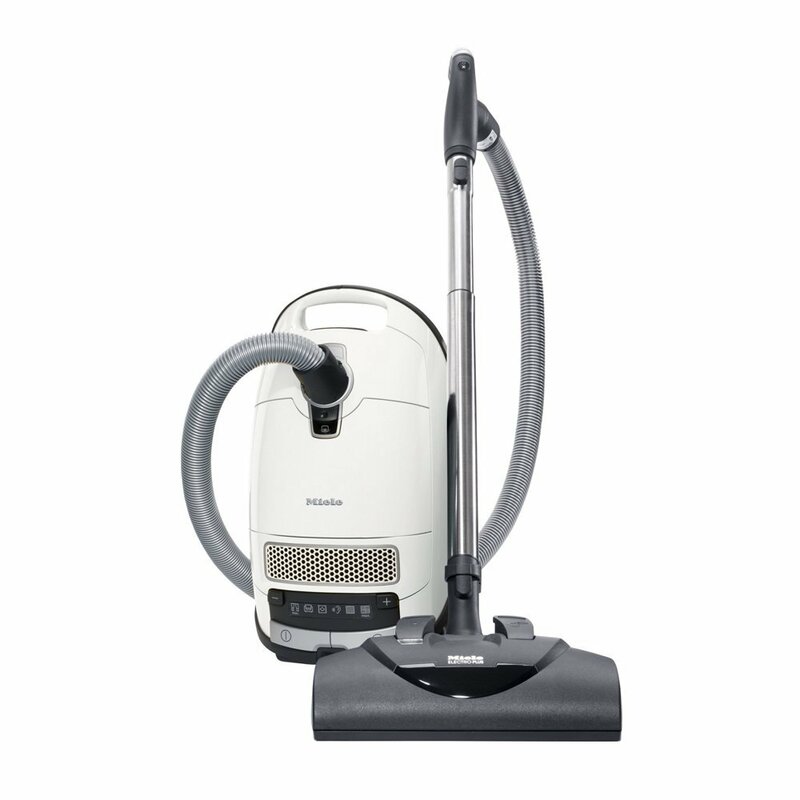 The Miele Stick vacuum is more closely related to the upright than the canister from Miele. The stick vacuum is a more lightweight designed vacuum and can be corded and cordless depending on the model you choose. The advantages of using the stick vacuum over the upright are it's not as heavy and cumbersome so therefore can be maneuvered around in tighter confined spaces with ease. These vacuums are better suited for smaller lighter duties around the home. A lot has been written and said about the robot vacuum, and most top vacuum brands now have at least a robot model in there range and Miele are no exception. With the remote option for controlling this robot vacuum. However they will never entirely replace the conventional vacuum cleaner they do however keep the dirt and grime reduced down on a daily basis, and on hardwood floors, they are particularly useful; making them the first choice for many users. If you are a pet owner who has to deal with pet hair then a robot vacuum cleaning daily or even two times a day remotely is an advantage to keep on top of the cleaning. So, you want an upright if you have to clean vast swathes of carpeting and you have two or more stories to your home, and you want a canister vacuum if you have a single story house and lots of furniture or other various surfaces that need cleaning. Canisters are also usually better for area rugs as well. The Miele stick vacuum can be used similarly to the robot vacuum for any quick cleanup jobs or as a backup to the canister or upright vacuum you choose. The attachments are only available with the canister and upright miele models, so that's what we are covering next. While the base unit is designed for cleaning the floor, there are so many other parts of your home that can benefit from a thorough vacuuming. As such, it’s important that you pick out a model that has unique accessories to help make your machine more versatile overall. These can include extension wands to clean ceilings, brush heads for furniture, and even specialty attachments that are designed for a particular purpose, such as stairs or pet hair. Overall, you want to choose accessories that are commensurate with your needs so that you don’t have to buy any additional equipment. It may sound obvious, but not all vacuums are created equally. Some are built for thin carpeting and hardwood floors, while others are made for high pile carpets that require extra suction and intensity. As such, it’s imperative that you choose a vacuum that can work with all of your floors, especially if you have a variety of types. Some of the Miele Vacuum that we’ll look at can work for everything, from high pile to hardwood, while others will have trouble on one end or the other. Ultimately, you don’t want to pay extra for an “all-inclusive” model if you don’t need it, nor do you want to buy something that won’t be able to handle your whole house. Overall the best Miele Vacuum come at a price, it's if you want high standard and are prepared to pay for it.